Repeated Human Rights Council resolutions have condemned “in the strongest terms” the “systematic, widespread and gross human rights violations” by the Eritrean government. The Council has condemned violations including arbitrary detention, torture, sexual violence, religious oppression, denials of the rights of free expression and peaceful assembly. The Council has also expressed grave concern over the unlimited conscription of Eritrea’s citizens and the use of conscripts in forced labor. 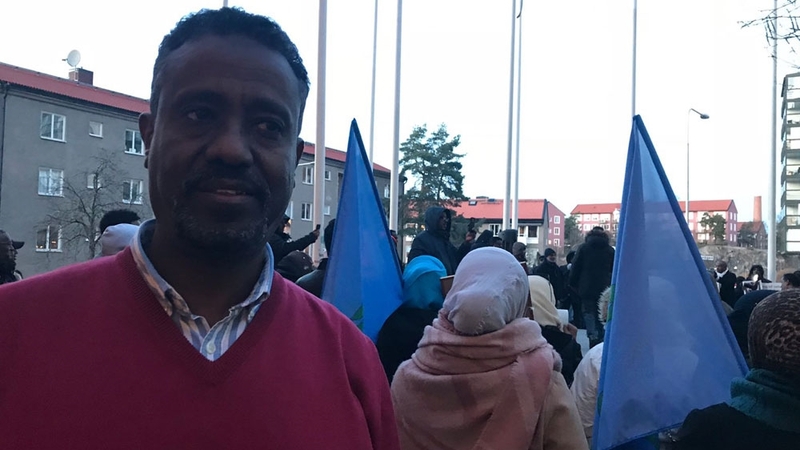 Council resolutions have urged Eritrea to end these practices and allow international and regional human rights bodies, including Special Rapporteurs, unhindered access to the country to monitor progress. Unfortunately, the Eritrean government has repeatedly ignored the Council’s resolutions. Little change, if any, has occurred. Prisoners remain jailed without trial, indefinitely and sometimes incommunicado. Torture in captivity continues to be a major concern. No independent press is allowed. Endless conscription and its abuses still control the lives of Eritreans, especially the young. The government continues to refuse to give UN and international human rights monitoring bodies access to the country. It has made no effort to hold violators of human rights accountable. The military presence in Eritrea may be a response to Sudan allowing Turkey to take over Suakin Island in Sudan temporarily last year, as part of a broader Turkish engagement policy in Africa. Suakin was once Sudan’s largest port and governed by the Ottoman Empire but has fallen into disuse since the creation of Port Sudan in the 20th century just 60 kilometres to the north. Al Sharq reported that, according to diplomatic sources, Turkey is planning to build a military base on Suakin Island. It opened a military base in Somalia last year, deploying 200 troops to train local Somali forces. Relations between Abu Dhabi, Cairo and Khartoum have been strained as a result of Turkey’s presence in Sudan. An Egyptian military source denied that there were plans to establish a base in Eritrea back in May last year. Media reports in Sudan claimed that Egypt communicated with Somalia and Djibouti to establish a base for 20,000 to 30,000 soldiers. Throughout 2017, Egypt was trying to put together an African lobby in a bid to defend its position on Ethiopia’s Renaissance Dam. Egyptian experts claim that the dam will harm Cairo’s access to 55.5 billion cubic metres of River Nile water. However, Ethiopia insists that the project will have a positive effect by assisting Egypt and Sudan with electricity generation. The construction of the dam began in 2011. It is located 15 kilometres east of the Ethiopia-Sudan border and has been a major cause of political tension between Egypt and Ethiopia. The reservoir of the dam is expected to hold 70 billion cubic metres of water, which will help to solve Ethiopia’s own power shortages. Once in operation, the dam will be Africa’s largest hydro-electric power station. Eritrea has been hit by new United States (U.S.) sanctions according to a White House statement. Under the new sanctions regime the U.S. said it was constraining Eritreans from engaging in educational or cultural exchange programs with the U.S.
Eritrea has long been on a U.S. sanctions list for failing to combat human trafficking. The new measure is a further squeeze on Asmara’s relations with Washington. North Korea, Russia and Syria have all been put into the same bracket. Four other African countries were added to the sanctions list according to the White House. The sanctions are basically based on failure of the countries in the area of checking human trafficking. A statement issued on Saturday September 30, 2017; said the affected African countries are: the Democratic Republic of Congo, Equatorial Guinea, South Sudan and Sudan. Joining the African quartet are Iran and Venezuela – all the listed countries have been added to a list of countries subject to restrictions for the new fiscal year. The U.S. fiscal year kicked off on Sunday, October 1, 2017. Under a 2000 U.S. law called the Trafficking Victims Protection Act, the United States does not provide non-humanitarian, non-trade-related foreign assistance to any country that fails to comply with minimum standards for eliminating trafficking and is not making efforts to do so. The latest round of sanctions comes barely weeks after Eritrea and other African countries were slapped with a visa restriction regime. The move was as part of punitive measures towards nations that refused to take back nationals scheduled for deportation from the U.S.
“As of September 13, the U.S. Embassy in Asmara, Eritrea has discontinued issuing B1, B2 , and B1/B2 visas to citizens, subjects, nationals, and residents of Eritrea, with limited exceptions, in accordance with Section 243(d) of the Immigration and Nationality Act,” the U.S. embassy in Asmara wrote on its Facebook wall.